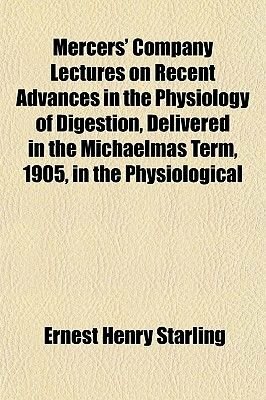 Title: Mercers' Company Lectures on Recent Advances in the Physiology of Digestion, Delivered in the Michaelmas Term, 1905, in the Physiological Department of University College, London Publisher: London, Constable Publication date: 1906 Subjects: Digestion Notes: This is an OCR reprint. There may be numerous typos or missing text. There are no illustrations or indexes. When you buy the General Books edition of this book you get free trial access to Million-Books.com where you can select from more than a million books for free. You can also preview the book there.